You will notice how easy SunBlaster is to apply. Remember all you need now is a refill and you will always be topped up! 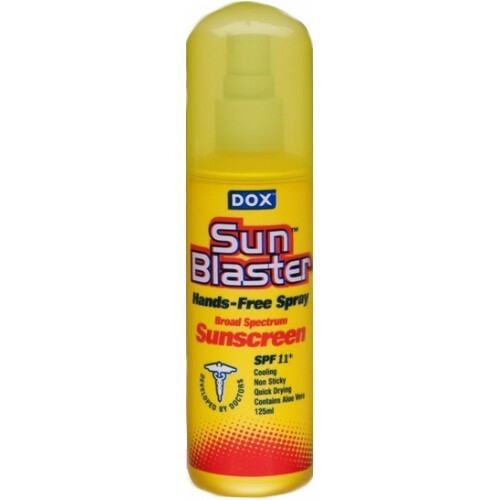 SunBlaster 6 Pack A straight forward and economical way to get your 6 full bottles of SunBlaste..
SunBlaster 1 Litre Pump Spray This spray applicator is the favourite for the large body parts. 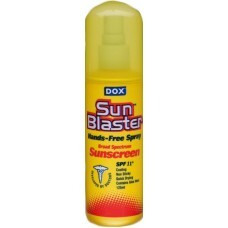 Ide..
SunBlaster 1 Litre Refill pack Equivalent to 8 x 125 ml standard bottles, refill your Sun-Blaste..
SunBlaster 500 ml Small Refill pack Equivalent to 4 x 125 m l standard bottles, refill your S..
18 oz (532ml) Kleen Kanteen SunBlaster Yellow"The Original" Stainless Steel Water BottleIn ..
Dox SunBlaster 250ml Trigger Spray Perfect for all the big parts of the body, for the face some ..
No label 250ml Trigger sprayer & BottlePerfect to use them in my work for spraying.. This Offer is a 1 Litre Refill with a bonus SmartKlear Elite or ScreenKleen, IP..